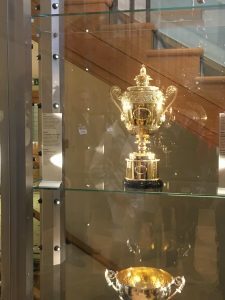 You may remember from a blog by John a few months ago that our Sport Business and Leadership students visited Wimbledon in their first term! This time, we have student Simon give his opinion of the visit for the Sustainability and Leadership module. 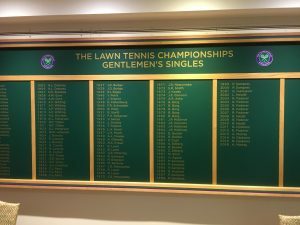 A short walk from Earlsfield station at 9am brought all of the Sport Business and Leadership students studying on the Sustainability and Leadership module to the home of tennis, or at the very least, the home of The Championships. However, as we visited Wimbledon as part of our studies and with it being a cold December day, strawberries and cream would have to wait! We were about to have an amazing opportunity to hear from leading figures at Wimbledon. Once we had our badges and entered the grounds we were shown to the Rolex Suite where, for the first time in all of our many site visits, we were offered tea in a china cup and saucer and cake and biscuits on china plates. Only Wimbledon could entrust students in such a way! Whilst indulging in the refreshments we had a chance to look around the room and try to name the celebrities that were in the many photos around the walls of the suite. 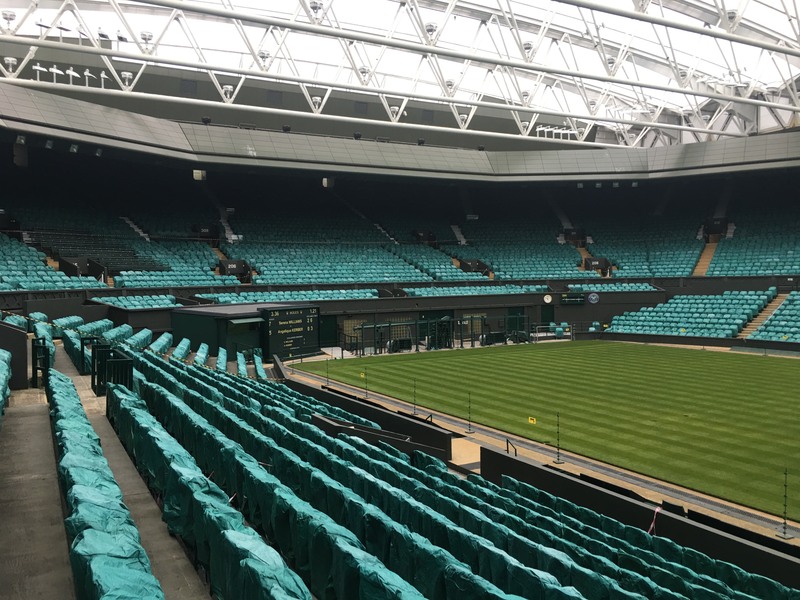 Martin Guntrip, Director of Wimbledon, then gave us an informative presentation on what Wimbledon is doing to make The Championships more sustainable. Everything from discussing the building programs, to how many strawberries are consumed (28,000kg’s!) and recycling initiatives were discussed. After a great presentation, Martin gave us a little test on our knowledge where prizes of champagne, a Wimbledon bag, and other Wimbledon merchandise were on offer. A great way to teach students to pay more attention next time! It reminds me though that fellow student Mark, the winner of the champagne, promised to share it! 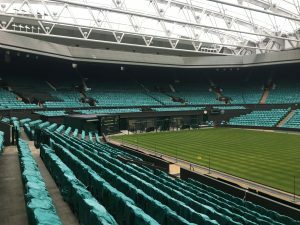 Another presentation followed on the new developments at Wimbledon including the redevelopment of Court One and about the Master Plan for the development of the Wimbledon site in to the future. 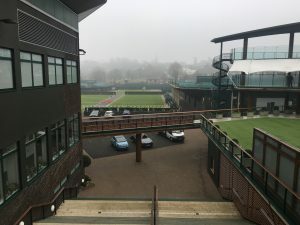 We then had a tour around Wimbledon with Dan Bloxham, Head Coach at the All England Club. It was amazing to hear some insights from Dan who, amongst many roles he has at the club, is the last person to speak to the players before they head out on to Centre Court on finals day. From the press office to the changing rooms, and to the courts themselves, we were privileged to get a real behind-the-scenes tour from a man in the know. On a cold December morning, it was clear what a difference it makes to be a student at the best university for sport in the world. 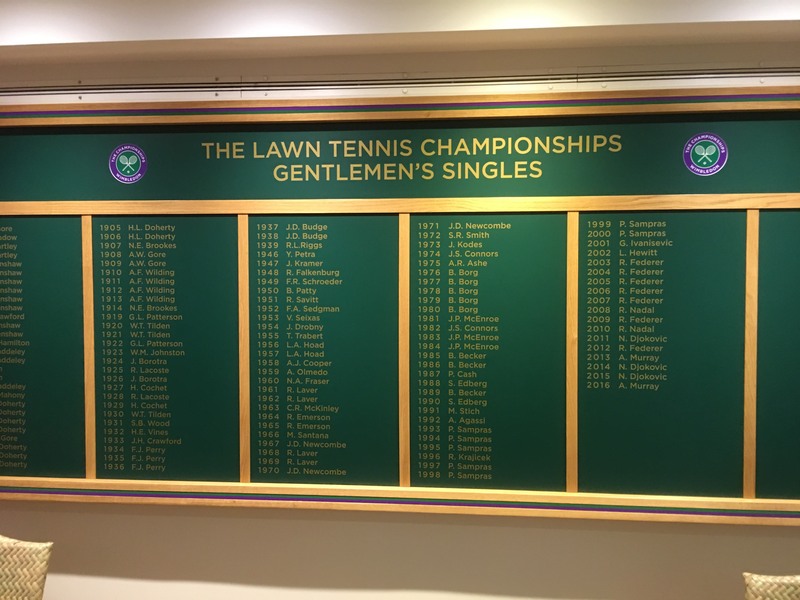 We spent a morning at the All England Club and had the chance to speak to leading figures in Wimbledon about significant sport leadership and sustainability issues. I particularly love this method of learning which really develops the information you get in lectures. 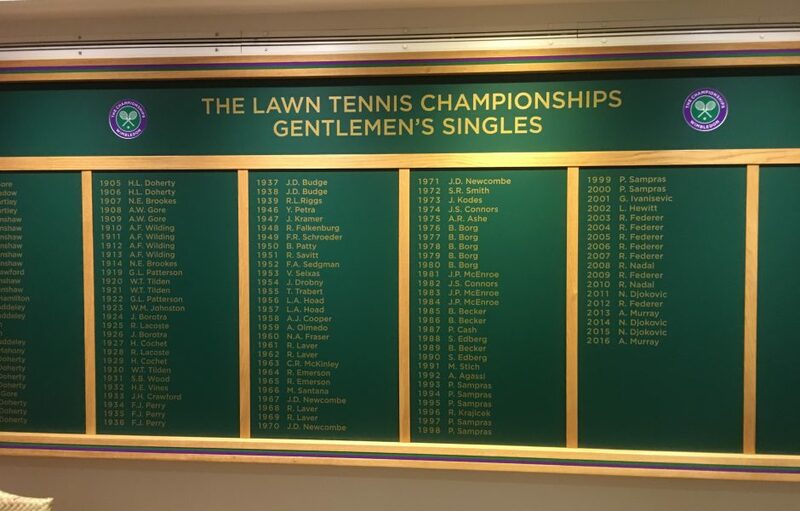 I would like to thank Dr Russell Seymour at Loughborough University London and all the team at Wimbledon for a fun and informative site visit. I am already looking forward to my next visit where the better weather might mean some strawberries & cream and a glass of champagne are on the cards! Loughborough University London would like to thank Simon for taking the time to write this blog. Find out more about our Sport Business and Leadership MSc by visiting our website.